As soon as we got to the hotel and recharged our batteries, we headed out to explore Taipei at night. We spent a couple of hours in Ximending, engrossed in the lights, noises and smells. We quickly checked out the food stands and the shops, and we obviously headed out for some Chinese food & bubble tea! Whenever I travel, especially to a new country, I am keeping my heart and mind open. You may often have small unpleasant experiences, you might not like the weather, or you might not like the food. But even if I encounter any of these, I force myself to let it go, and keep exploring. 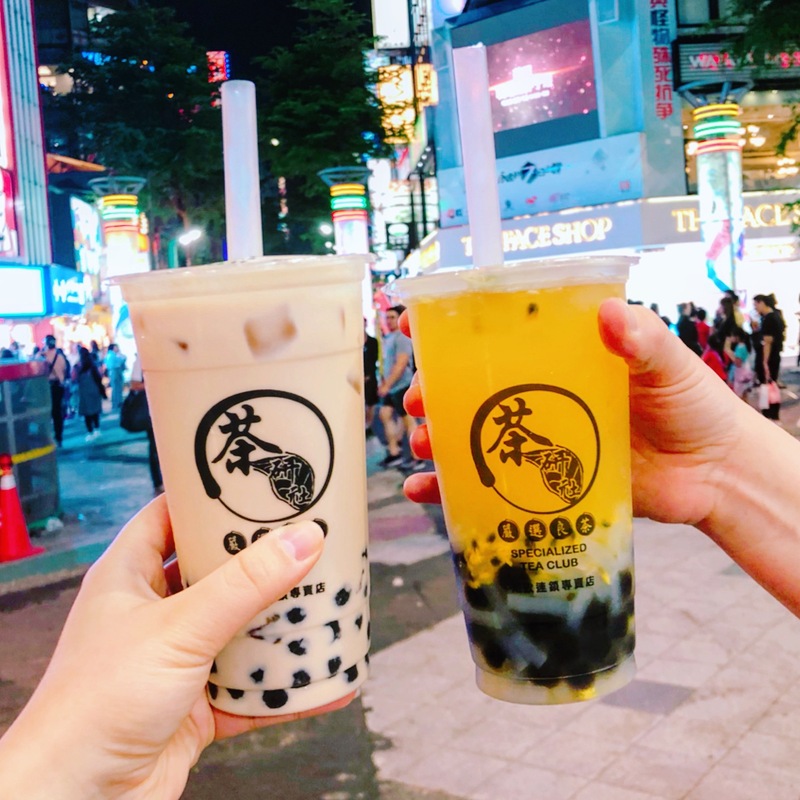 I was expecting Taipei to be amazing in every way – and even if I went there with high expectations, they were surpassed. One evening into the trip, I was even more looking forward to exploring and trying out as many things & foods as possible. I arrived in Taipei mentally & physically exhausted, and even if I knew I was going to walk kilometers every day in warm weather and sweating 24/7, I knew that my mind & soul would feel refreshed and well-rested. This evening was the beginning of an amazing one week trip in a country that I would definitely love to visit again in the future. Stay tuned for more blog posts on Taipei and Taiwan!